The Niger Delta Development Commission, a Federal Government agency established by the Federal Government, under the leadership of former Nigerian president, Chief Olusegun Obasanjo in the year 2000 with the sole mandate of developing the oil-rich Niger Delta region of southern Nigeria. It was established to replace the defunct Oil Mineral Producing Areas Development Commission, OMPADEC. Since inception, almost a decade ago, the nine states of the Niger Delta region, [Rivers, Bayelsa, Delta, Edo, Ondo, Akwa Ibom, Cross Rivers, Imo and Abia] have always been represented in the board of the Commission. In Imo State, just like the other states, membership of the board is an exclusive right of the core oil producing Local Government Areas and is therefore meant for Oguta and Ohaji /Egbema Local Government Areas, being the two oil producing Local Government Areas in the State. Unfortunately, since the establishment of the Commission, Ohaji/ Egbema has had two consecutive appearances in the board: Dr.Victor Kogah and Prince Emma Assor whose tenure just elapsed recently. while Oguta Local Government is yet to taste of it. In Oguta Local Government Area, there is an obvious imbalance in the sharing of political appointments as well as other public positions of authority in favour of Oguta town. For instance, between 1976 and 2009, over ninety percent of positions meant for the Area have been occupied by indigenes of Oguta Town, while other Communities, such as Izombe have continued to be marginalized. A trip down memory lane shows that by every measure, Izombe as an oil producing Community has suffered severe marginalization in the course of its stay in the same Local government Area with Oguta town. 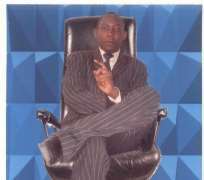 Bon Nwabianu was the first Commissioner in the defunct OMPADEC, which was the slot of Oguta Local Government Area and is said to be lobbying seriously, to 'buy' himself into board of the Niger Delta Development Commission. Mrs. Nzimiro, an indigene of Oguta is presently a member of the governing Council of Imo State University, Owerri. The present Comptroller general of Customs, Mr. Nwadialu is an Oguta man. The Commissioner in charge of Education and Human Resources in the Imo State Oil Producing Development Areas Development Commission, ISOPADEC, and former Attorney General of Imo State, Justice Nicholas Adigwe is from the same Oguta town, still representing Oguta Local Government Area. Ogbuagu Chief Senator Francis Arthur Nzeribe and late Chief Alhaji Maduagwu, both from the same town were in the Senate for over twenty four years. Justice Chukwudifu Oputa, Pro Chancellor, Imo State University, Owerri and former chairman, Human Rights visitation Commission is also an Oguta man. Others include: Barrister Hypollite Nsofor, former Attorney General of Imo state, Chief Mrs Flora Nwapa, former Commissioner for Lands, East Central State, Enugu,Ogbuagu Oputa Iwuorisha, Representing South/East in Customs, Immigration and Prisons Board, Engineer Gerald Irona, former Chairman, Oguta Local Government Area and presently, a Federal Board member, Chief AC Nwapa, former Secretary to the Lical Government, Barrister Frank Unyimadu, former Chairman, Oguta Local Government Area, among many others. Anchored on the fore going, it now appears that Oguta Community is using its numerous contacts, positions, as well as resources to oppress other Communities that share the Local Government with it. This development must therefore be discouraged by all stakeholders. Izombe produces about seventy percent of the total Oil deposit in Oguta Local Government Area but has continually, been relegated in the scheme of things, possibly, because Oguta indigenes take advantage of the several opportunities they have enjoyed, contacts, as well as affluence to lobby themselves into positions of authority, without giving room for spread. Izombe has the highest number of educated manpower in the locality, as well as all other paraphernalia required to effectively handle positions of authority in the Country, but unfortunately, the “Nigerian factor” has not allowed credibility and competence to flourish in the area. However, people of the area appear to have a sigh of relief, following the obvious determination of President Yar'Adua to ensure Rule of Law and due process. Consequently, of the numerous qualified candidates of Izombe extraction, as organized people, the Community has endorsed the candidature of one of their illustrious sons, Chief Emmanuel Ifeanyichukwu Duru, and recommended same for appointment as Commissioner representing Imo in the board. This decision also got a boost, following his endorsement by youths of the state, under their umbrella body: Imo Youth Congress, after a 3-day retreat in the state recently. According to the Youths, “Chief Emma Duru's record of service reveals philanthropy, urbanity of knowledge, ubiquity of ideas, political and management consultancy, incorruptibility, experience, and humility and should therefore be allowed to occupy this humanitarian and service-oriented office”. Further investigations revealed that Chief Duru, who is a former member of the Governing Council, Federal College of Education [technical], Omoku, former Imo State Organizing Secretary of the ruling Peoples Democratic Party, among other positions is actually the people's favourite and shall serve as a bridge between all the oil producing Communities in the state and even beyond. Again, his role in the resolution of several Community, oil and youth related crises in the area is also responsible for the insistence of both the youths and other major stakeholders on his appointment as Imo's representative. He knows the problems of his people and has solution to same. The time therefore, has come for government at all levels to apply wisdom, ensure fairness and listen to the voice of majority of the people in order to ensure that justice is done. The Imo state governor, Chief Ikedi Ohakim, should therefore use his good offices to correct this injustice meted on Izombe people, by ensuring that this generally acceptable candidate of the people becomes his sole candidate for recommendation to the president for appointment into the 'revered office', for effective representation and rapid development of the area. More so, President Yar'Adua must be mindful of some candidates being pushed by some 'money bags', whose only interest is how to share the oil loot, divert public funds, without thinking of the interest of the masses. This is one of the major causes of the Niger Delta Crises and must be checked. The Youths have spoken. The Oil landlords have also spoken. Hear them. Furthermore, aside balance and fairness, Chief Emma Duru appears to have the strongest 'Resume', most acceptable and has all it takes to take the people to the next level. NDDC is not all about sharing the people's money. It is about the development of Oil producing Communities. Let this be our guiding principle. Efficiency, effectiveness, credibility and competence must be counted. Now is the time. Let's move to the next level.